The Red Angus Association of America is excited to announce the release of Zoetis’ HD50K/i50K Version 2 genomic test along with the release of the Fall 2017 EPDs. Representing a recalibration of Zoetis’ original genomic test, Version 2 provides Red Angus breeders with a significant improvement in genetic prediction accuracy. Made possible by Red Angus breeders’ adoption of genomic technology, the Version 2 test was developed using Zoetis’ growing volume of 50K data on Red Angus animals. 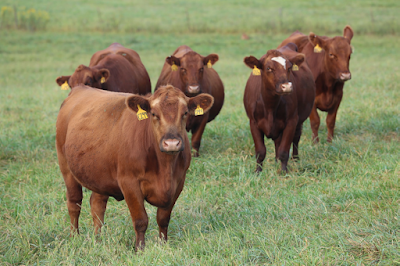 As a direct result, the population of animals used for the development of the Version 2 test consisted of mostly Red Angus animals along with strategically selected Black Angus animals. This is a distinct improvement from the original “Global Angus” test, which was developed using a higher percentage of Black Angus animals. Thus, the Version 2 test represents a significant improvement in RAAA’s ability to provide accurate EPDs on HD50K/i50K-tested animals. Another exciting improvement is Zoetis’ Version 2 test provides genomic data for RAAA’s entire suite of EPDs. Therefore, in addition to the genomic-enhanced EPDs provided by the previous “Global Angus” test, breeders will now receive HD50K/i50K-powered genomic enhanced Stayability, Heifer Pregnancy and Maintenance Energy EPDs. Relatedly, HD50K/i50K-tested animals will receive a genomic-enhanced HerdBuilder index. Animals tested with the original Zoetis genomic test have already been upgraded to the Version 2 test. As a result of the improvement in genetic prediction, EPDs of upgraded animals have the potential to change. 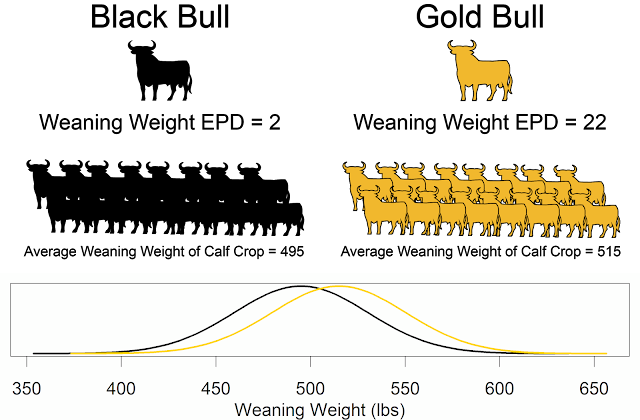 Similar to EPD changes and increases in accuracy resulting from the addition of progeny data, the updated EPDs represent an improvement in the prediction of animals’ genetic merit. Visit RedAngus.org/genetics to order – or learn more about – Zoetis’ Version 2 HD50K/i50K test. This recalibration performed by Zoetis included over 8,500 seedstock animals. Progeny equivalents, or the boost in EPD accuracy if the genomic data had been progeny data, ranged from 6 to 53 (Table 1.) Not only do genomic predictions provide increased data for estimating EPDs, they also verify parentage. When parentage issues are identified, they can be corrected, thus improving the quality of the reported EPDs. Zoetis markets an i50K product. The "i" stands for imputation, or the process of inferring genotypes for DNA markers not tested based on the patterns of the tested DNA markers. The correlation of the Molecular Value Predictions (MVP®) calculated from i50K versus the HD 50K is around 0.99. The correlations between the MVP® and the true breeding values avereaged 0.63, with a low of 0.46 for Milk (it has been difficult to predict maternal effects) and a high of 0.79 for calving ease direct (CED). The Red Angus Association of America serves the beef industry by enhancing and promoting the competitive advantages of Red Angus and Red Angus-influenced cattle. The RAAA provides commercial producers with the most objectively described cattle in the industry by seeking and implementing new technologies based on sound, scientific principles that measure traits of economic importance. For more information, visit RedAngus.org. Sources: Red Angus Association of America and Zoetis.